Printed Circuit board or PCB is used to mechanically support and electrically connect electronic components using conductive pathways, tracks or signal traces etched from copper sheets laminated onto a non-conductive substrate. PCBs can be single-sided (one copper layer), double-sided (two copper layers on both sides of one substrate layer), or multi-layer (outer and inner layers of copper, alternating with layers of substrate). Multi-layer PCBs allow for much higher component density, because circuit traces on the inner layers would otherwise take up surface space between components. 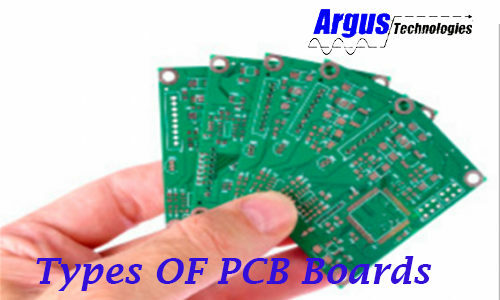 A basis PCB starts with a copper-clad fiberglass material or thin copper sheets attached to either side of board. It consists of. PCB have copper tracks to connect the holes where the various components are located they are specially designed for each and every circuit and build construction very easy. Though, making the PCB necessitates special tools. 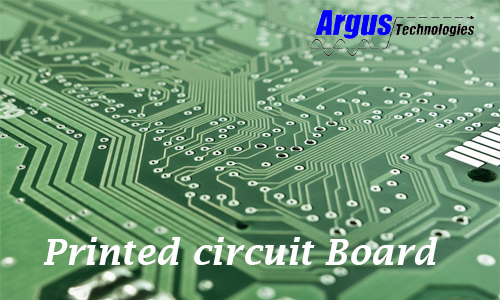 The different types of printed circuit boards mainly include the following. This type of printed circuit board contains just one layer of substrate or base material in this Single sided PCB one side of the substrate is covered with a thin layer of metal in this Copper metal is an excellent electrical conductor. The protective solder mask sits on the top of the copper layer and a silkscreen coat may be applied to the top of the mark parts of the PCB board. Lower cost: single-sided PCBs especially for high volume orders the cost of manufacturing and producing single sided circuit boards are very cost-effective and affordable due to the basic designs. Lower probability of manufacturing issues there will undoubtedly be fewer problems during the manufacturing stage Due to these manufacturers produce these boards at higher volumes at faster pace with the company standards. 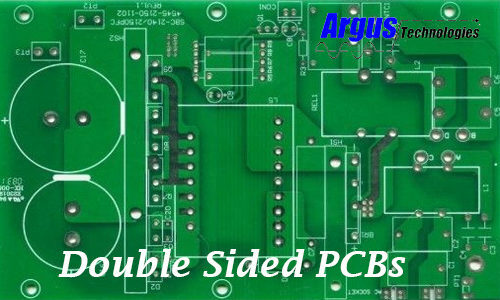 Double sided pcbs is the extension of single sided PCB when a single sided not enough it will go to the other side there will be conductor /line on both two sides. Double-sided PCBs have a conductor pattern on either sides of the board having two separate conductor patterns needed an electrical connection between them. this electrical bridges are called ‘vias’ via is a hole in the pcb that filled or plated with metal and touches the conductor pattern on both sides of the pcbs. There are a countless old and new double sided designs silver and gold finishes, ultra high copper, high and low temperature solder coated are the few examples of double sided PCBs boards. 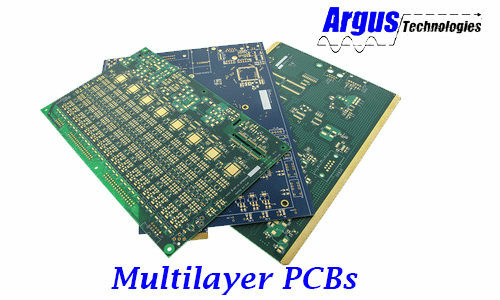 The Multi layer PCB Boards is made with three or more conductive copper foil layers this appears as several layers of double-sided circuit boards to increase the space available for wiring. This can be achieved by laminating and glued the double sided circuit boards together with insulating layers in between. The entire process is done so that two layers are placed on the surface sides of the PCB to connect the environment and all the electrical connections between the layers are achieved with vias. Since the layers in a PCB are laminated together it’s often difficult to tell how many there are but u inspect the side of the board u may able to see them. PCBs are becoming popular in electronics. They come in a wide range of sizes and thicknesses to accommodate the needs of their expanding applications they are ranging anywhere from four to twelve layers and are no more cost-effective to produce Application like mobile device and Smartphone tend to use around twelve layers. 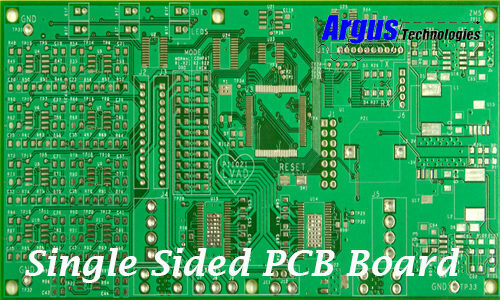 We at Argus Technologies are specialized in Customized PCB Design services, PCB Assembly service, PCB Fabrication, Embedded Hardware, and software. Please contact us for details and to get free quote on our services.